1959 marked the opening of the famous Daytona International Speedway. Only 4 years later, Rolex issued the Cosmograph Daytona, allowing race car drivers to keep accurate track of their laps speed due to the precision chronograph and the tachymetric scale on the bezel. Even if you're not into motor sports, you might have a use for the stop-watch function. Despite being a sports watch, the Daytona emanates elegant beauty. 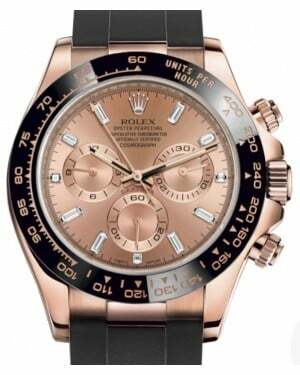 In addition to the highly collectable self-winding watch, you have the choice of steel, leather, white-, yellow-, or rose gold bracelets, according to your taste and style. 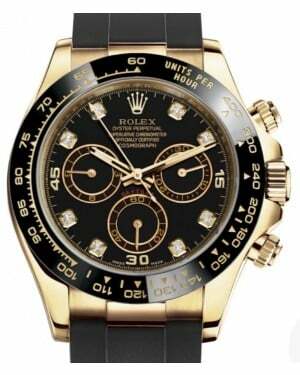 Don't lose track of your busy life, control it with a Brand New Daytona! 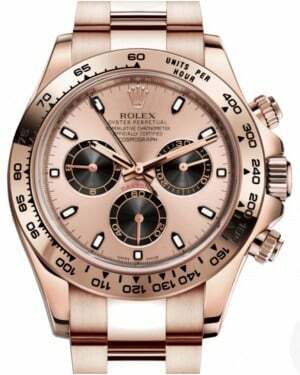 Rolex Daytona Watches can be subdivided into different materials such as Stainless Steel, White Gold, Yellow Gold, Rose Gold and Platinum. In addition the wristband can be made of Leather, Rubber, Stainless Steel or Gold. Which Rolex Daytona should you buy? That depends on your taste and budget. 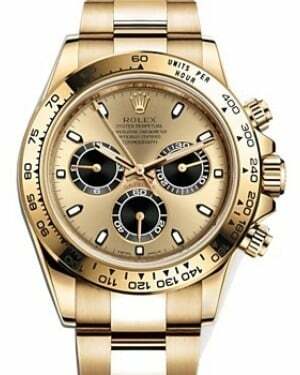 Introduced in 1963, the Rolex Cosmograph Daytona has a rich history and is one of the most iconic luxury Swiss watches ever produced. Indeed, the model is now infamous for its long waiting lists, while vintage models have been known to fetch incredibly high prices at auction, with one model selling for over $1 million in 2013. Yet, despite its present-day desirability and association with celebrity figures like Paul Newman, the Daytona was not especially popular on release and was not sold at a particularly high price either. Here, we take a more detailed look at the history of the chronograph watch and its various model changes throughout the years. In order to trace the history of the Rolex Daytona, you must first go back to 1955 and the release of the Rolex Chronograph Reference 6234. It is notable that at this stage, neither "Daytona" or "Cosmograph" were used on the model, although a number of Daytona features were already in place. The Reference 6234 was a stainless steel model, with a tachometer scale on the outer ring of the dial. It also featured a telemeter scale on the inner ring and unlike modern Daytonas, required manual winding. This model remained in production until 1961, with only around 500 timepieces being produced each year. A similar model followed, known as the Reference 6238 and the second generation of this model modernised its appearance and introduced features such as the applied steel baton indexes and baton hands. The model, now known as the 'Pre-Daytona', had a 37mm case and the telemeter scale from the Reference 6234 had been removed. During the early 1960s, Rolex made attempts to associate itself more closely with the world of motorsport, and in 1962, the company was made the official timekeeper of the Daytona International Speedway and the prestigious Daytona 500 NASCAR event. A year later, Rolex unveiled its new Cosmograph model, the Reference 6239. This model marked a notable change from the Pre-Daytona models, because the tachometer scale was re-positioned onto the bezel, helping to improve the legibility of the dial and to enhance the size of the scale itself. The Reference 6239 was devised as a driver's watch, but was not yet named the 'Daytona' officially. 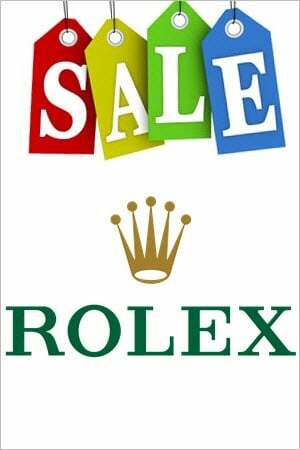 Soon after release, in 1964, Rolex actually made attempts to associate the model with the Le Mans 24 Hour race, even taking out an advert for the Rolex Le Mans Chronograph. However, the company eventually decided to opt for association with the Daytona events it was already linked to and the Reference 6239 became the 'Daytona'. Initially, the 'Daytona' name was a nickname, albeit one promoted by the company, and unlike the word 'Cosmograph', it did not appear on the dial itself. 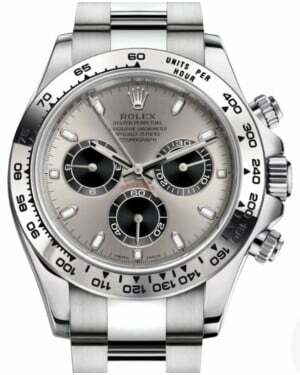 This changed around 1965, at which point new models began to be introduced with the 'Daytona' name written on the dial.This was followed by the release of the Reference 6240, which was the first Rolex Daytona model to also be an 'Oyster' model. Essentially, this meant that it was completely waterproof and the watch was equipped with screw down push-pieces. This design was retained for 1970s models, including the Reference 6263, 6264 and 6265. 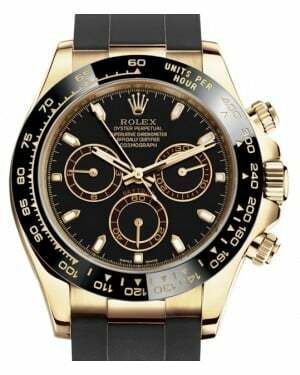 By the mid-to-late 1960s, despite fairly modest sales figures, the Rolex Daytona gained an influential admirer in the form of actor and motor racer, Paul Newman. He would go on to become the single figure most associated with the Daytona watch, wearing it during his racing career, as well as in photo shoots. 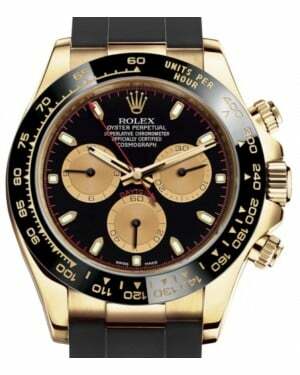 In particular, Paul Newman became associated with a Daytona dial that was released in 1965, but which he wore much later. Visually, this dial style is defined by the presence of cross-hairs across each of the three sub-dials, which are coloured to stand out from the main dial, and a different scale on the sub-dial in the 9 o'clock position. 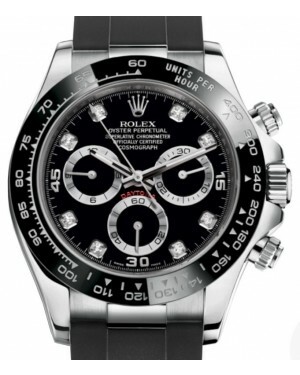 At the time of release, these dials were not very popular, with most Rolex clients preferring a more traditional look. However, after Paul Newman modelled one in a magazine, the 'Paul Newman Dial' became extremely highly sought after. These rare dials may be found on Reference 6239, 6241, 6262, 6263, 6264 or 6265 models. 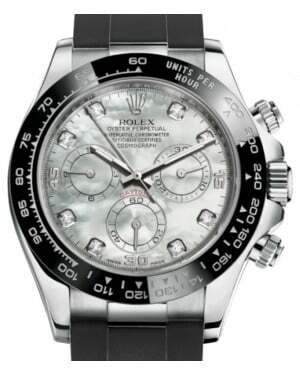 Demand for sporty chronograph watches increased considerably over the course of the 1980s, but the number of Rolex Daytona models in circulation was nowhere near enough to meet this new demand. As a result, the manufacturer introduced a second generation of Daytona models in 1988. 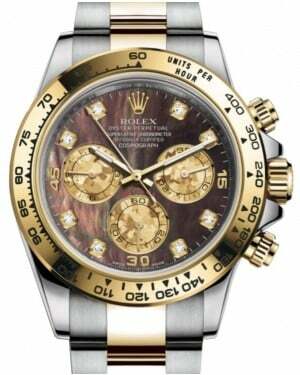 This began with the Oyster Perpetual Cosmograph Daytona Reference 16500 series, with steel (Reference 16520), gold (Reference 16528) and two-tone (Reference 16523) options available. 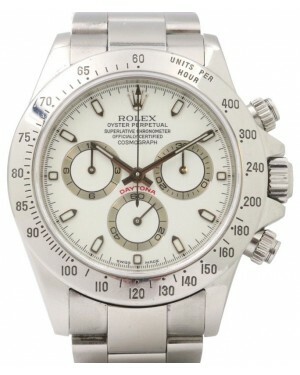 These models are easily distinguished from the first generation Daytona watches by their five digit reference numbers. The all-gold model is sometimes referred to as a 'Chairman Daytona', because it was worn by several top Rolex directors. As for technology upgrades, the second generation models saw the introduction of a new modified Zenith "El Primero" automatic winding movement. Meanwhile, the case diameter increased from 37mm to 40mm. Second series Daytona models remained in production from 1988 to 2000, but were produced in reasonably small numbers, leading to long waiting lists. This has become a staple of the Daytona, helping to make the watch more exclusive. In 2000, Rolex introduced the third generation Daytona, with six digit reference numbers and, for the first time, an in-house movement, the Caliber 4130. These models, which include the steel Reference 116520 and the yellow gold Reference 116528, are thinner and the small seconds and chronograph hour sub-dials have switched places.